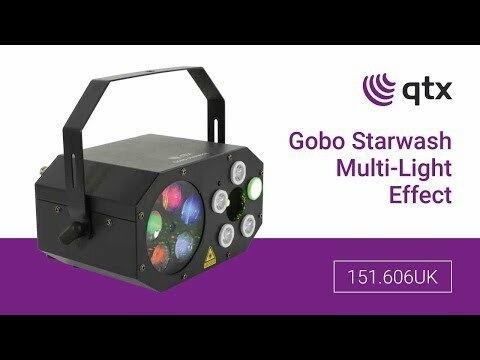 Compact 3-in-1 light effect with 5 moving colour gobos, 5 LED colour washes and 2-colour multi-point laser. Easy to set up and operate with built-in programs for each effect or all combined, operated by auto sequence or sound activation. Laser can be defeated by a safety key switch on the rear panel and modes and sound activation are selected by push buttons. A lively and colourful light show for mobile or installed party rigs.